The Ultimate Guide to Princess Charlene's Grand Prix 2018 Wardrobe! 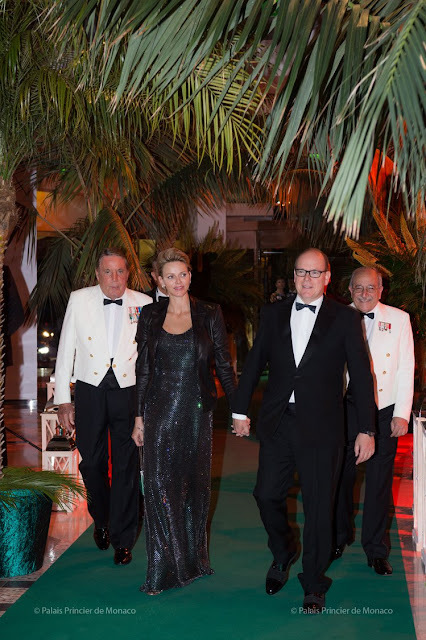 Last weekend was full of events for the Princely family of Monaco. 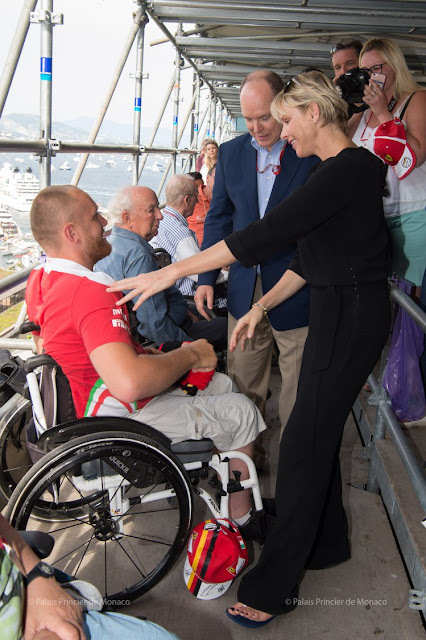 Princess Charlene Of Monaco, Who had not been seen in a while, was the center of attention once again. 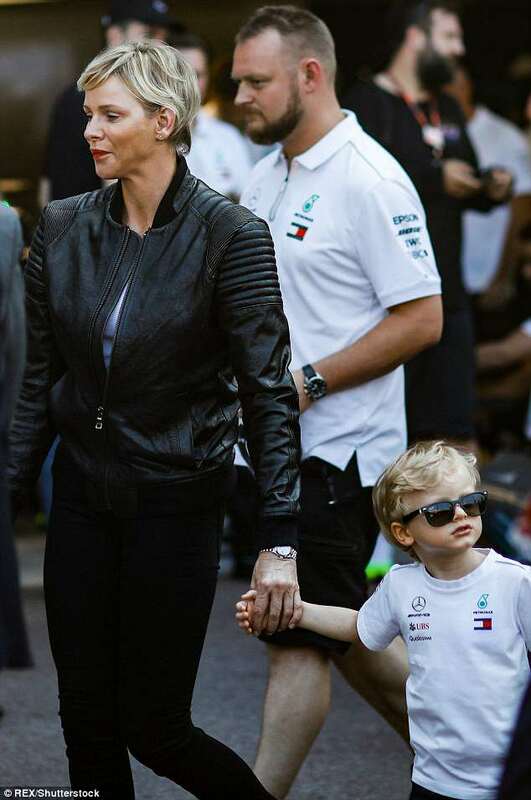 Starting on Friday, the Chris And Princess of Monaco Visited The Grand Prix Racetrack where they met Lewis Hamilton (before he called the race "boring") with the twins. The Princess sported a black leather jacket with a simple white top. 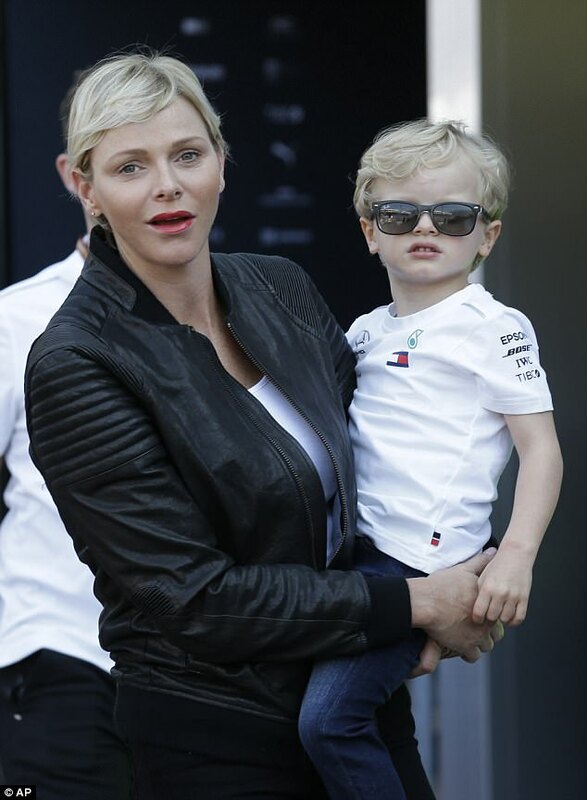 Look at Prince Jacques in his cute little Ray Bans! On her wrist, is a new watch that first appeared at the Rolex Monte-Carlo Masters in April. Safe to assume it's Rolex, what do you think? The princess wore Dior sunglasses and her hair was done by Kevin Smeenk. 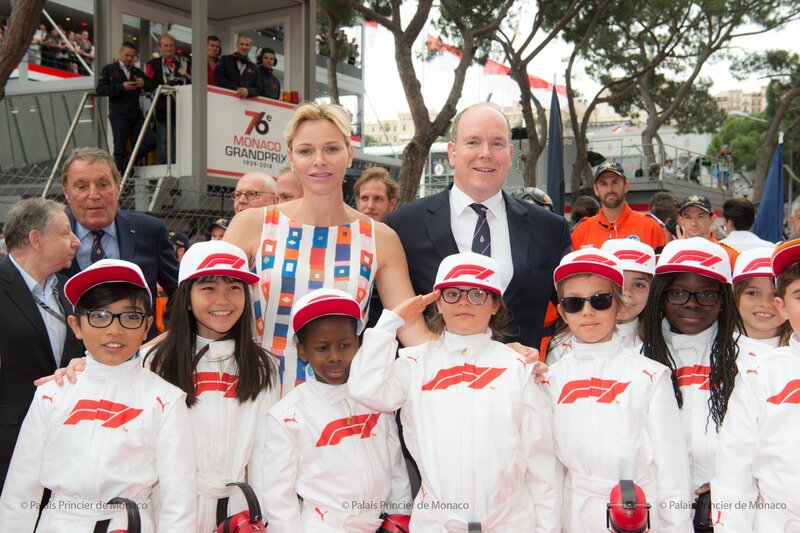 On the next day, The Prince and Princess of Monaco visited the pit lane. The princess was serving race driver realness with her outfit in a khaki jumpsuit/overall/coverall. This khaki Ralph Lauren coverall work perfect for the occasion as they look exactly like the coveralls some of the drivers wear. If you're following us on Instagram, You'll find out that this ensemble is inspired by one of the pieces Mr. Ralph wore himself. However, this particular piece comes from the RRL line. Relaxed-fitting coverall made from stretch cotton twill. 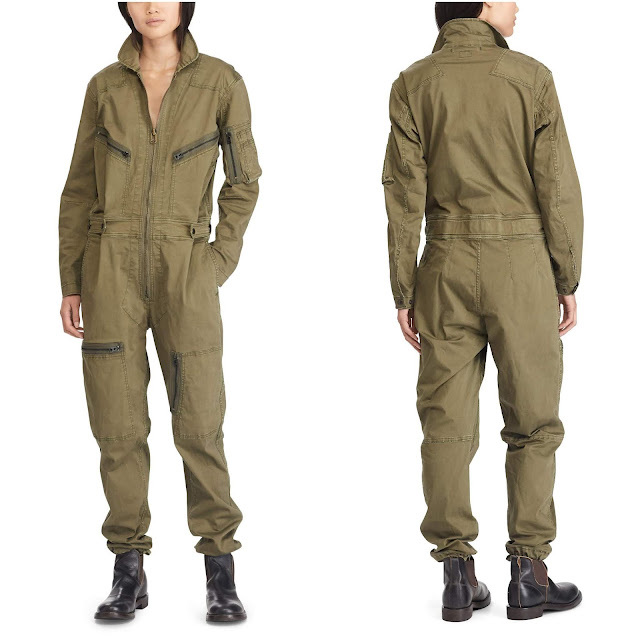 Inspired by 1960s US military flight suit with quarter-top front pockets and asymmetrical patch pockets. Waistband adjusters. Leather zipper pull. Snapped buttons. Drawstring hem. La Princesse de Monaco paired this coverall with what appeared to be purple sandals. What a closer look, you can see that these sandals are actually multicolored. The colors are black, dust, and pecan with a bit of purple and pink. This little party on HSH's feet comes from Jimmy Choo and is called Holly. Holy, features a towering 5-inch heel and is now sold out. Once again, the mystery watch made an appearance, Kevin Smeenk did the Princess's hair and THE PRINCESS DID HER OWN MAKEUP! The next day was equally busy for CharChar. By 11 am, La Princesse was dressed to the 9s and stepping out of her Lexus on a visit to the maternity wing at the Princess Grace Hospital Centre for Mothers Day. This where the princess herself has given birth to Jacques and Gabriella. HSH visited the mothers of 8 babies and handed them presents and flowers. One of the mothers took to Instagram to share the present. Anyone know who the sainte on the pendant is? Right after that, the Princess joined Prince Albert and headed for the F1 finals! So many things happened this year, Daniel Ricciardo finally won, drank champagne in his shoe, offered the prince and princess a swig from the bottle, they fake-drank, and Vettel sprayed everyone on the podium with his Carbon bottle. All very unprecedented, all VERY cute and shows how laidback the Grimaldis are! Charlene's dress got very mixed reviews with people either loving or hating it, no grey area. Honestly, I didn't like the dress until I saw it in action, it's modern and flowed very gracefully as she moved in it. 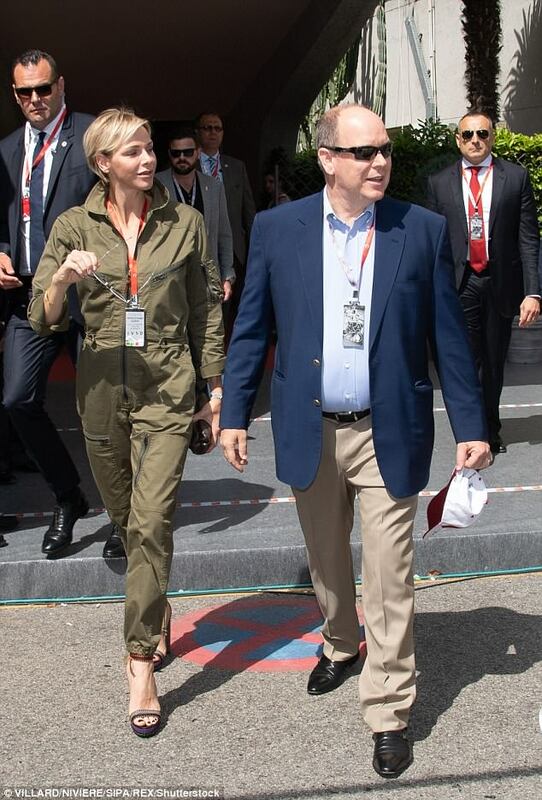 Charlene had never worn a maxi dress to the Grand Prix before, but with the fringed hem, the dress is very practical and looks very comfortable. To sum up, i'm on the Loving-It Team. 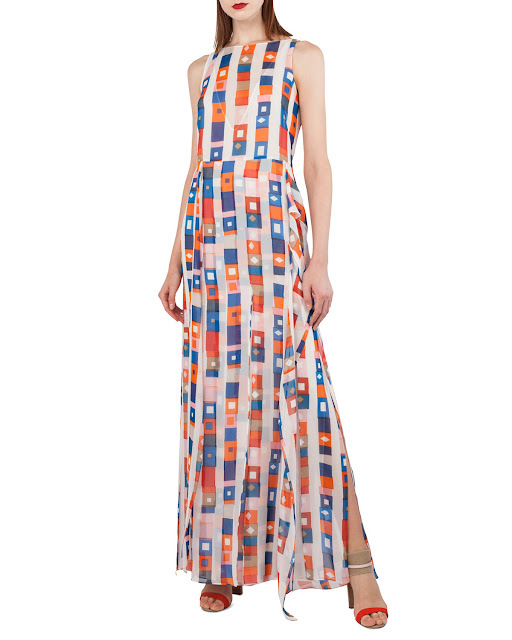 The dress is available on Bergdorf Goodman's website for $3,990, you can buy it from HERE. 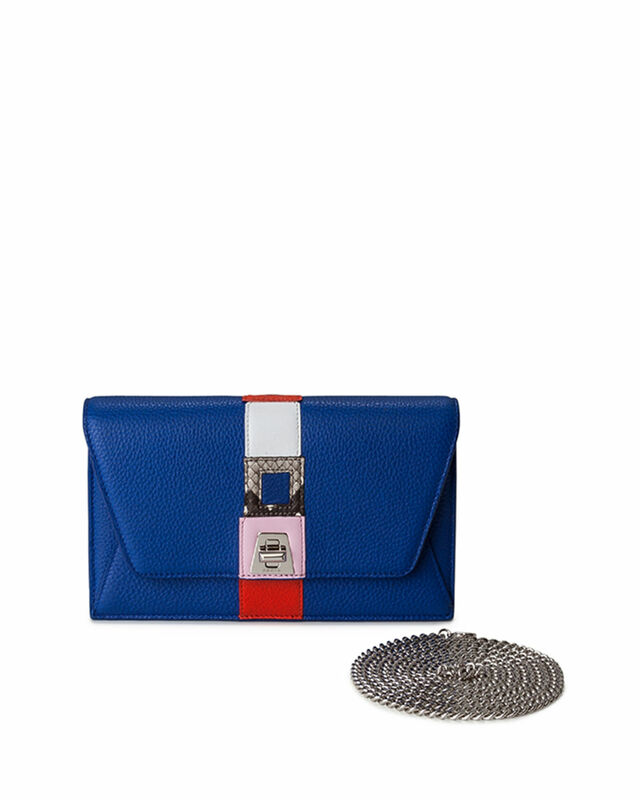 Charlene paired the dress with the Anouk Superstripe Patchwork Envelope Shoulder Bag which also available on Bergdorf's for $1,390 and you can buy it from HERE. The shoes are from Dior, but something tells me y'all already knew that. Char has several of those, something tells me the choice of shoes was a last-minute decision, especially since these shoes are from the 2015 collection, the Princess never wore them publicly though. You can score similar Dior pumps from Ebay for $375. Kevin Smeenk was once again to thank for the Princess's hair. Char's makeup skills came in handy again as she did her own makeup. Her earrings are Cartier, and her Repossi engagement ring made a rare appearance. The couple looked really dapper, Char donned a black Ralph Lauren Collection gown with a black leather jacket. If you've been following Charlene for years like I have, you'd know this isn't the first time she wear a leather jacket with a Ralph Lauren evening dress. Remember the 2013 Rose Ball? Gotta say, I much prefer it this time around! The gown comes from the 2017 collection. This is the collection Mr. Ralph showed with his collection of cars, so it's only fitting that Charlene would wear one of the dresses to a car racing event, right? The simple dress is fully beaded and is not available online, but similar dresses from the collection appeared on Moda Operandi for around $12,000. WOWZA! The earrings from the day race stayed, Kevin Smeenk put the Princess's hair in a big do (do you notice how lush and healthy her hair is now?) and Eugenie Lurvink did the Princess's makeup.